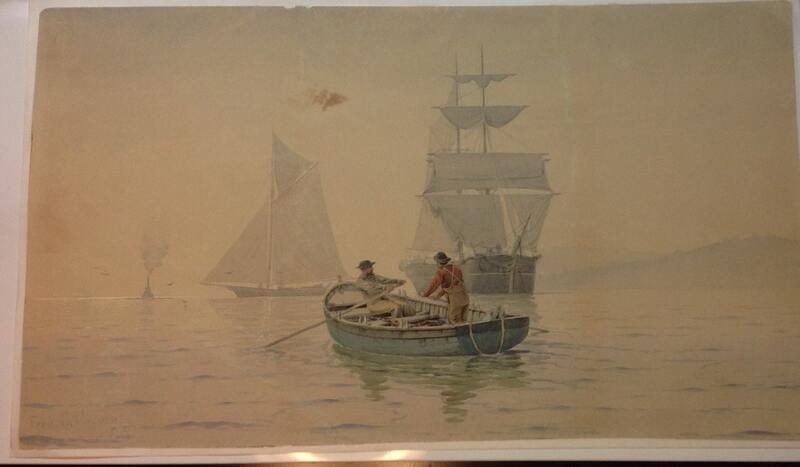 This is a rare and highly sought original watercolor by Cozzens, 1885. 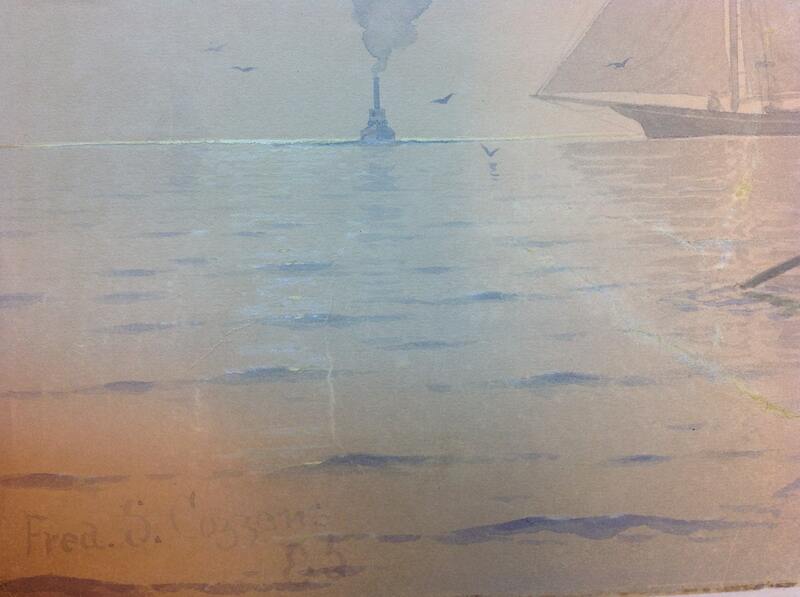 I believe this is likely painted in the New York harbor. 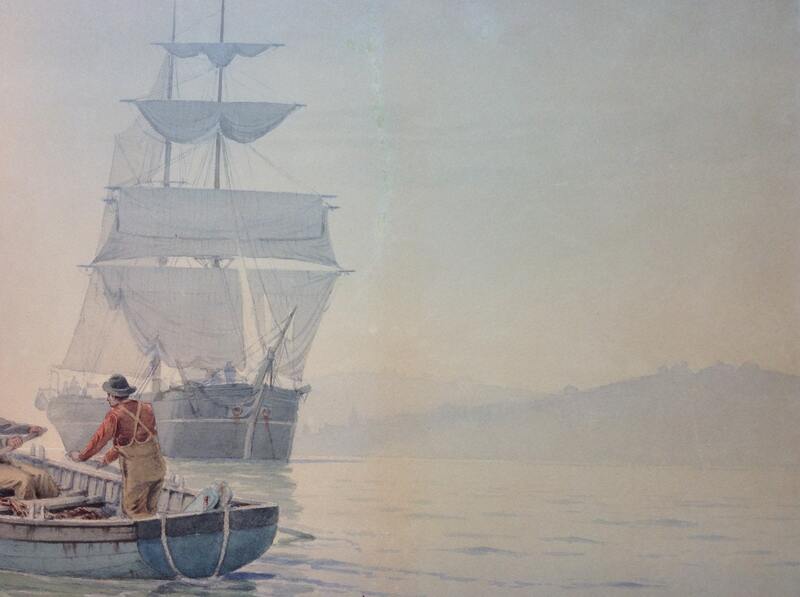 The painting features a brigadier, a yacht, and a working tug in the foreground. A second yacht is barely visible on the horizon. 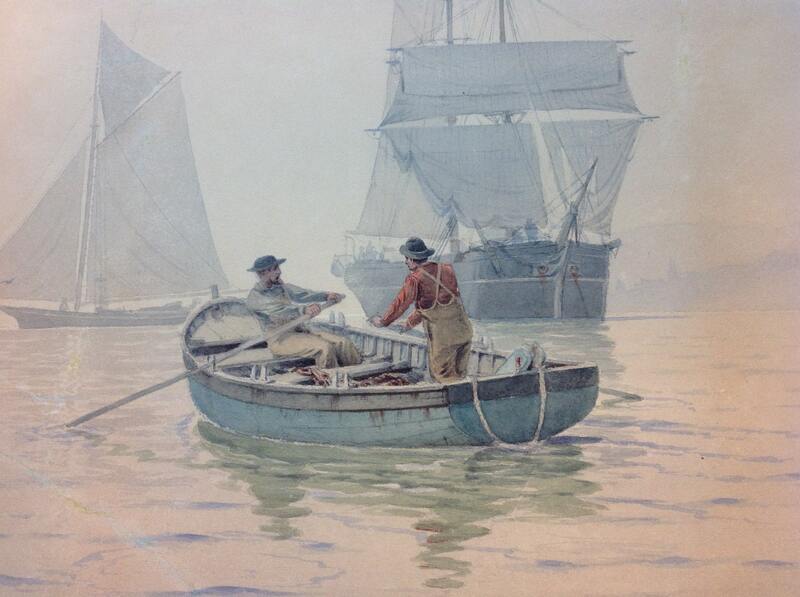 In the foreground is a handsome blue rowboat pulled by two men in waders. A few gulls circle the horizon. At right, there is a headland dotted with trees that slopes to the sea. Aboard the brig, which is at anchor, a few figures accentuate the deck. Signed Fred S. Cozzens '85. Beautiful large color image of New York yachting. Though this image would look great displayed by any sailing enthusiast, it would be ideal for a Manhattan office, yacht club, or Hamptons home. The dimensions are: 15.25" x 26.5" (image) on the backing which is: 16" x 27.25"
This painting has evidence of past conservation. It has been mounted to an acid free fiber paper backing to improve stability. Additionally, conservation work has been undertaken to repair what were either tears or weak spots, and this can be seen at close inspection. Some foxing of the paper is also evident. It is unknown if further conservation can remedy these flaws. Painting is still dramatic, still an original Cozzens, and still very attractive visually. I have priced this down in light of the condition issues. 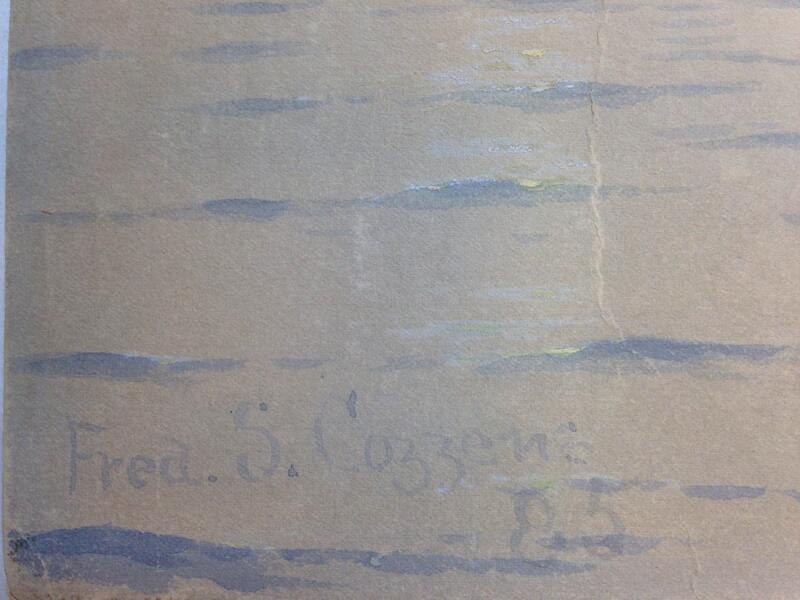 I do have access to one of the nation's foremost paper conservators and this could be discussed. Strong offers considered.